Here is a warm message from one of Tomoe Project friends, Sean, Forward Screen Printing! 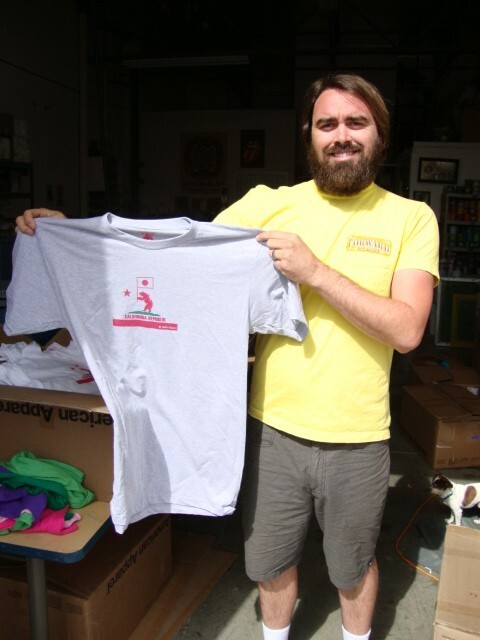 Sean owns a screen printing company in North County San Diego and has helped us make quality Tomoe Project donation goods. Sean is very professional and dedicated, and this is very important, he is a really nice person! He has agreed to support our project and the affected people in Japan, and his contribution has been significant! ← Always help needed… please get involved! Just came across this post. Thanks very much for the good words! We are happy to support Japan in any way that we can. Thank you very much for your support, Sean!